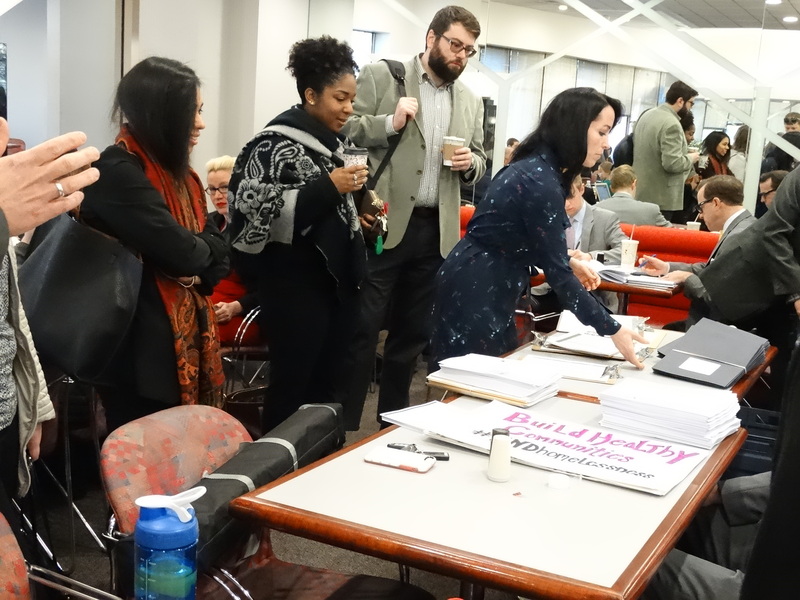 The Reaching Home Campaign’s 2018 Homelessness and Housing Advocacy Days were hosted by the Partnership for Strong Communities and the Connecticut Coalition to End Homelessness. The Campaign assembled on April 11th and 12th at the Legislative Office Building and State Capitol in Hartford, Connecticut. Campaign members fostered a heightened awareness of the continued need for housing and homeless resources. More than 120 housing providers and constituents engaged with 125 Senators, Representatives and legislative aides. Over the course of two days, robust conversations transpired as to the ways the Connecticut General Assembly (CGA) and the Reaching Home Campaign will continue to work together to end homelessness. The Reaching Home Campaign is grateful for the activism of its members including the Coordinated Access Networks, housing providers and constituents across our state. The Campaign also appreciates the many legislators, and legislative aides, that are responsive to our mission and engaged in ending homelessness!